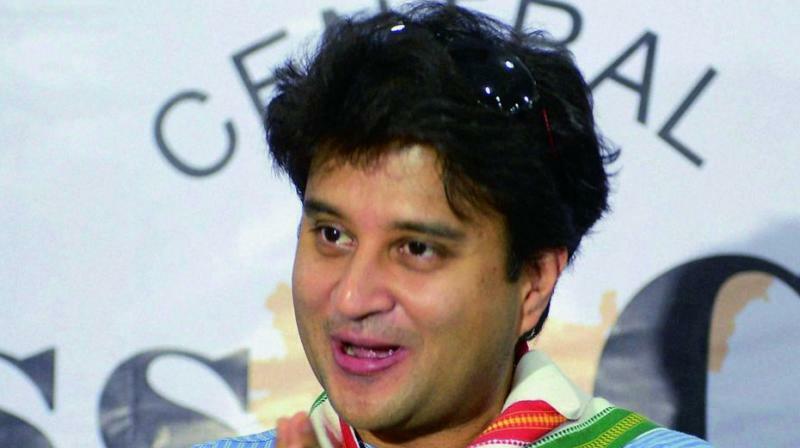 Jyotiraditya Scindia said Modi has sent the rupee from the ICU to the cremation ground. Mathura: Congress leader Jyotiraditya Scindia has blamed Prime Minister Narendra Modi for the drop in the value of the Indian currency, saying he has sent the rupee from the ICU to the cremation ground. Addressing a rally in Uttar Pradesh's Mathura district on Friday evening, Scindia also criticised Modi over demonetisation and the implementation of the goods and services tax (GST). The Congress general secretary in charge of western Uttar Pradesh countered the claim of Modi that he had done in five years what the Congress could not do in 70 years. Scindia blamed Modi for the falling rupee's value from about Rs 60 to a US dollar during the UPA regime to about Rs 70 now. "'Modi ne rupaye ko ICU se shamshan pahuncha diya' (Modi has sent the rupee from the ICU to the cremation ground)," Scindia said in Ral village while campaigning for party candidate Mahesh Pathak for the Mathura Lok Sabha seat. The Congress leader cited demonetisation, the condition of traders after the implementation of the GST as examples of the "misrule" of Modi. The former minister alleged that the law-and-order situation in the state was so miserable that people had started labelling Uttar Pradesh as "Crime Pradesh". Scindia said the Congress would ensure employment to the unemployed, safety to women, proper value for the produce of farmers and minimum income under the Nyay scheme if the party comes to power.